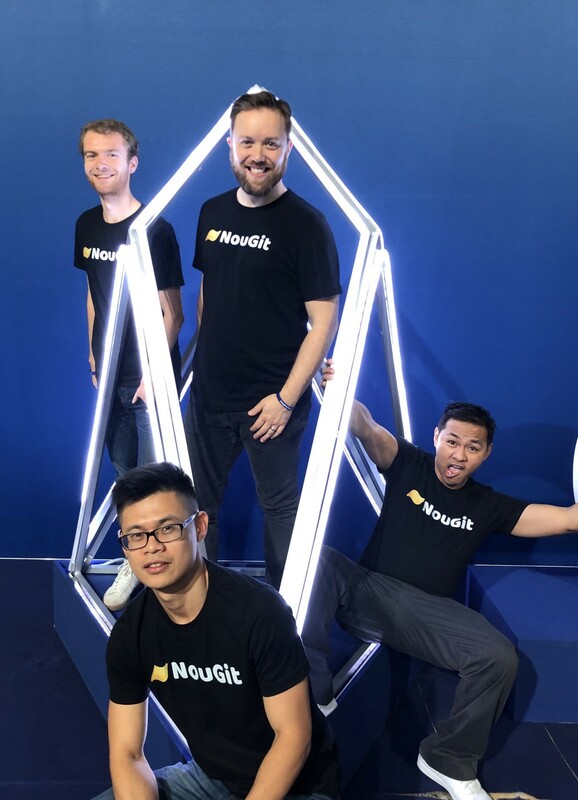 Rob Behnke, co-founder of NouGit, gives Block.one a taste of decentralized and incentivized code collaboration in the form of NouGit, a platform that allows developers to contribute their code and get paid for their efforts. Rob Behnke: NouGit is a decentralized and incentivized git repository platform. We have begun building the next generation of coding collaboration. 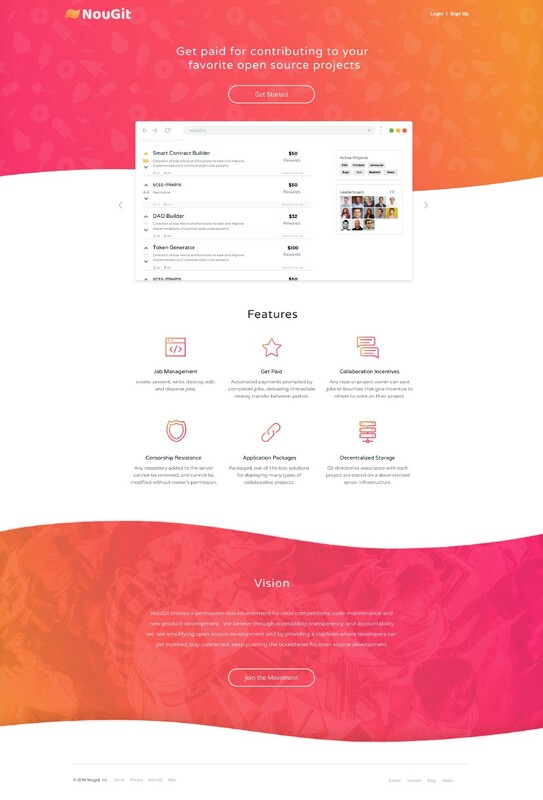 We provide core features for users to register, add and share project repos, fund job postings on projects, and pay coders who satisfy the job requirements. Our ultimate goal is to build a system that can enable many partners to build applications on top of the core system that we provide. For our first major release, we expect to optimize value and revenue capture through virtual hackathons and coding challenges. Rob Behnke: We came to Block.one’s EOS Global Hackathon in San Francisco with a couple of ideas in mind, since we didn’t know exactly what the challenge would be. Back in June last year, Microsoft acquired GitHub, and what stuck with us is just how much this piece of news infuriated the open source community. So, when one of our teammates brought up the concept of a decentralized GitHub, we went straight for it. From there, we scoped out a variety of differentiating features and started building our proof of concept. Rob Behnke: Our team is comprised of proven leaders in different areas of business: I lead the business aspect of NouGit, having been a serial entrepreneur with two exits, while Colby, our technical lead, is a software engineer, entrepreneur and algorithmic cryptocurrency trader. Fred, our creative lead, is an UX/UI designer and front-end developer who has worked with big brands like Under Armour, Disney and Salesforce. Our product lead is Stewart, an experienced marketing executive who has worked for Sun Microsystems, Certicom, Avaya etc. Mike, our advisor, is an MIT MBA with 15+ years of experience in telecom, investment banking and blockchain. Rob Behnke: While most companies start in stealth and then launch with something to show, we were announced to the world with a proof of concept from an idea hatched only two weeks earlier, and we are now already working on the alpha. We have started by personally interviewing a few dozen of our alpha sign ups, learning about their needs and wants around this product, as well as understanding what they like and dislike about existing platforms. Looking forward, we will continue building an extensive roadmap, strengthening our ‘bare bones alpha’, and hiring more developers to further this project. Rob Behnke: We built on blockchain because our vision is to enable decentralization of information, store of value, and creation of censorship-resistant code. EOSIO revolutionized the blockchain sphere by providing high transaction throughput and grouped user permissions. Building on top of these features allows our team to build a decentralized service with the ease of use that traditional platforms provide. Rob Behnke: From the very early stages of NouGit, we had started receiving feedback. At the EOS Hackathon in San Francisco, several mentors mentioned they were interested in our concept, and some of them are in fact our advisors and alpha sign-ups. As we launch and continue to build feature sets, we anticipate interacting with our community even more, as open source devs are quite vocal in general (which we love!). After all, the more feedback we get, the more we will be able to build a future that is optimized towards what the market demands. #BuiltOnEOSIO: Opening Up New Possibilities in Collaborative Coding with NouGit was originally published in eosio on Medium, where people are continuing the conversation by highlighting and responding to this story.